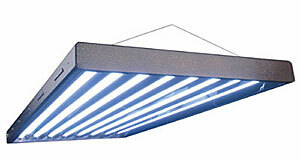 Choosing the right grow light for your hydroponic garden is an important decision. Not all lighting is the same. There are several factors that come into play when choosing which grow light will work for best for the garden you’re growing. When I first started doing indoor hydroponics I mainly used CFL’s as the light source for my gardens. They were convenient to use since I had them around the house and worked well for the custom lighting I was making. CFL’s don’t give off too much heat and can be used when there is not a lot of space. If you use enough CFL’s this source of lighting can be intense enough for both vegetative and flowering stages. 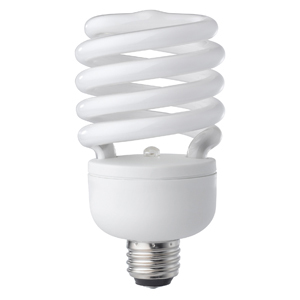 Recently though companies have begun to phase out the production of CFL bulbs in favor of LED. The most popular fluorescent tube light used for indoor gardening is the T5. T5 tubes come in several lengths, covering a good amount of growing area and can be placed close to your plants since they give off little heat. Fluorescent tube lighting is not very strong so is not typically used for flowering and fruiting stages. This type of lighting works well for leafy greens since they don’t require intense light and don’t need to go through a flowering stage. High-intensity discharge lights have been go-to for indoor gardeners for a long time. These are the large odd-shaped lights that are screwed into a hood looking fixture. High-intensity lighting is intense, can be used for both vegetative and flowering stages, but gives off abundant heat. Because of the heat lighting is kept several feet away from plants. There are 2 types of HID lights, each used at different stages of the plant’s life cycle. Metal Halide lights give off a blue light so is most often used for the vegetative stage. There are some bulbs that are corrected to be used with flowering as well. MH bulbs need to be changed about once a year. High-Pressure Sodium lights give off a yellow light and are used for the flowering stage. HPS should not be used for the vegetative stage or will produce tall leggy plants. HPS bulbs have a life expectancy of about 18 months. LED lighting is now my preferred lighting option for my indoor hydroponic gardens. While there is sometimes more cost on the initial investment, they perform better and last longer making it more cost-effective in the long run. LED lights can have a life expectancy of around 50,000 hours, giving you a lot of growing time before replacement is necessary. This type of lighting gives off less heat than alternative methods and many have a built with a cooling system. LED lighting is also very intense and can penetrate the top of your plant canopy to the lower leaves of your plants. Indoor gardening might be a great option for my uncle and he’s thinking of getting some hydroponic glow lights such as high-intensity discharge grow lights that you mentioned here because they’re warm. Maybe since he’s a starter, he should also go for compact fluorescent lights like you did because they save space. 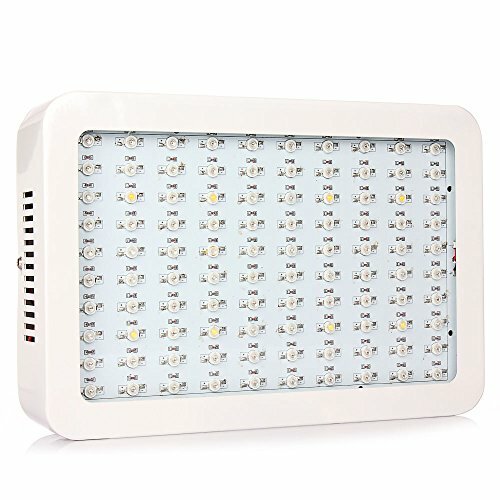 If we have all the options we can get from a store, I’ll ask him if he would rather prefer LED grow lights because they don’t use as much energy and is cost-effective like you said. Thanks for stopping by Sariah! If you uncle is just wanting to grow leafy greens compact fluorescent’s work great. If he is going to want to grow fruiting plants I would suggest the LED route. 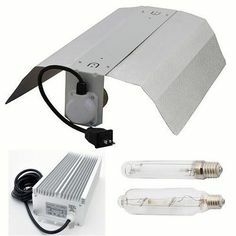 It is cool to learn these types led grow lights for indoor garden. What is the best one that you can suggest for budget of $1k?